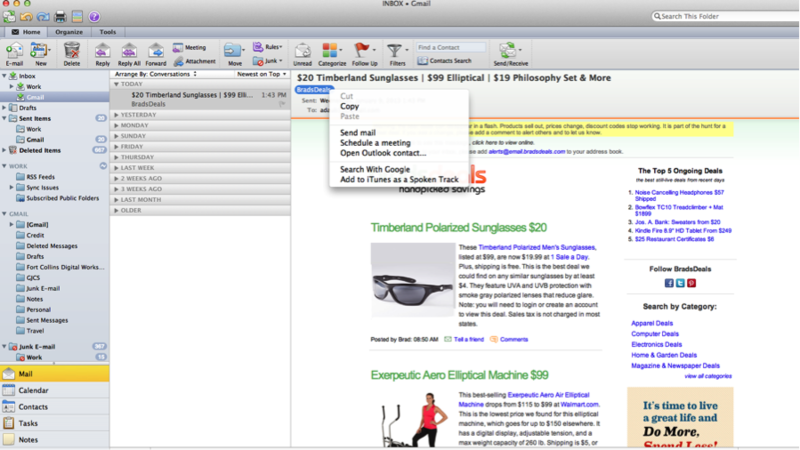 Microsoft Outlook offers several features that can help organize your busy life. 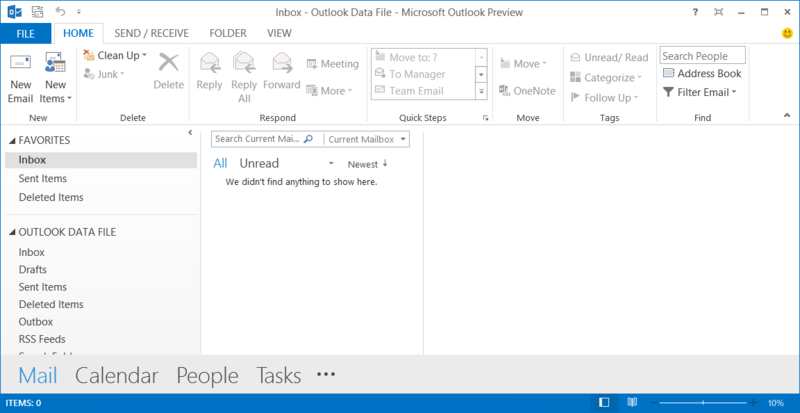 If you’re just getting started with Outlook, check out Part 1 of this series here. One often overlooked feature that exists within Outlook is the fact that you can click and drag emails in order to create new contact information, calendar items, and tasks. Dragging the selected message to the Calendar, Contact, or Task tab on the left-hand pane of your Outlook window will automatically pull up a prompt to create one of these new items with your email message already attached. You may need to add a few things – such as a specific time of the meeting or the job title of an individual you are adding as a contact – but overall, this does save some time. 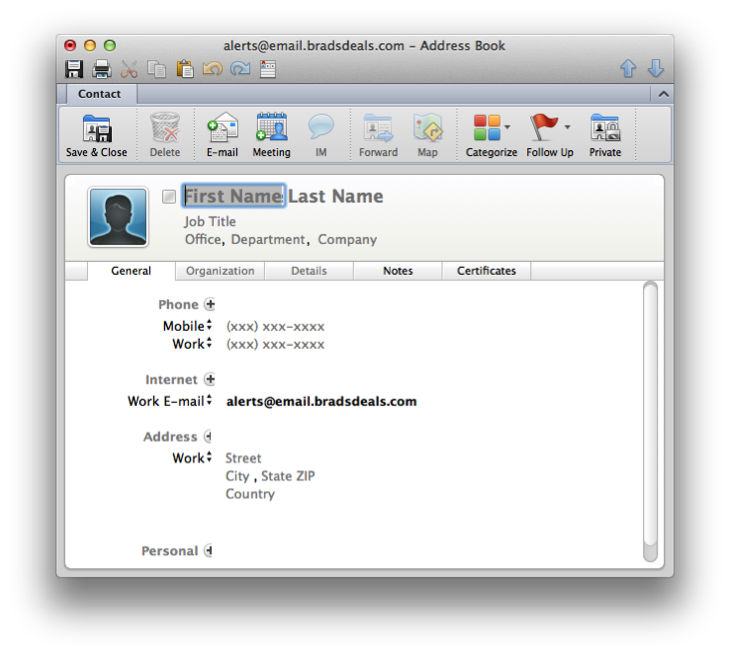 Outlook’s Contact Manager allows users a quick interface in which they can access anyone in which the user wishes to keep in contact with. 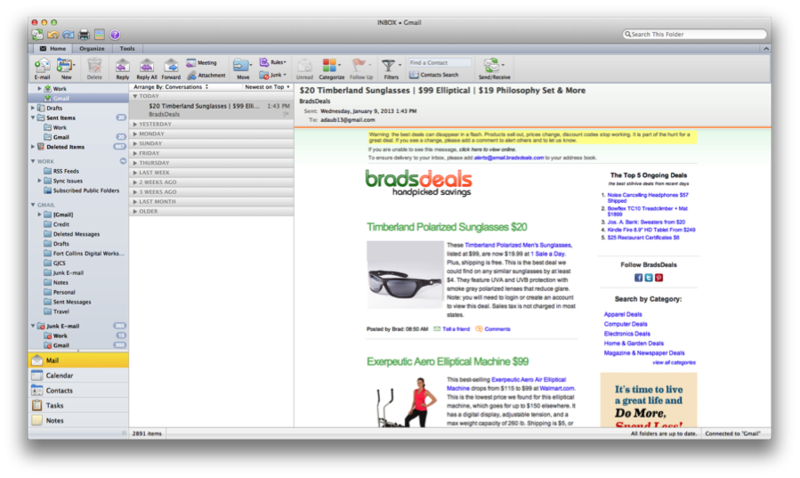 The simplest way to create a new contact is within an email itself. Right-clicking the email address or name that you wish to add as a contact will bring up a drop-down menu in which you will want to select “Open Outlook Contact” or “Add to Contacts.” This will bring up the contact menu in which you can add as much information as you like. Notice that Outlook also gives users the option to categorize the contact, which becomes useful when you want to keep things in order. 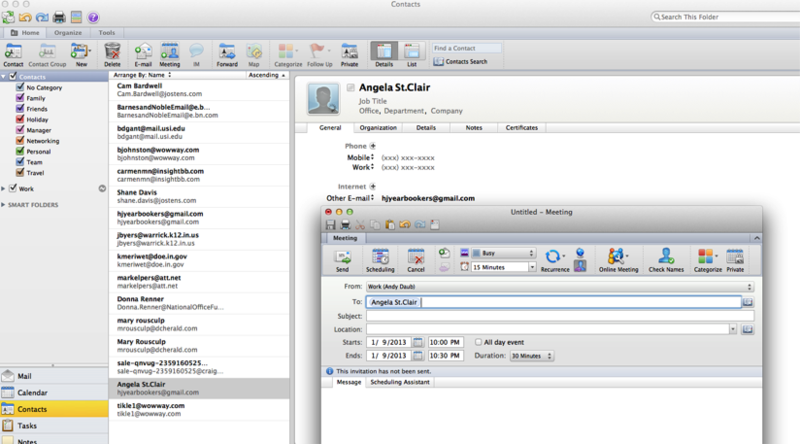 You may also create new contacts from directly from Outlook’s UI. 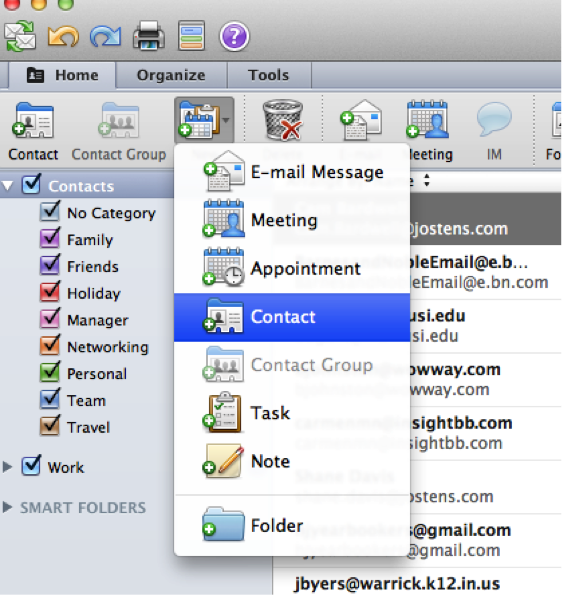 Simply click “Contacts” on the left-hand pane and then select “New” from the ribbon above. You will then see a drop down menu in which you can select “Contact” and then manually enter all of the information. Operating within the contacts menu is very useful within itself. Highlighting the contact you want to correspond with allows the user several quick options. After clicking you contact, simply click “E-mail” if you would like to send an e-mail to that contact or click “Meeting” if you would like to schedule a meeting. Outlook will auto-populate the email address. Outlook’s Calendar feature allows users basic features such as creating an event, but it also allows more advanced features, such as setting up meetings, reminders, and tasks. Clicking the “Calendar” option on the left-hand pane of the Outlook menu will bring up Outlook’s main calendar UI. The first thing to notice is that you will have many different viewing options available from the ribbon above. “Day” view will show an in-depth view of the day’s planned activities. “Work” will show a slightly less in-depth view of Monday-Friday. “Week” shows Sunday-Saturday. Finally, the “Month” view only puts highlight bars on the days in which events are planned. You will need to click on the bar itself in order to view its details. It is important to note that Outlook will provide a calendar for every email account that you have synced with it. Because of this, any calendar that you have set up through another client, for example Gmail, should automatically sync with Outlook. This provides a convenient link if you are not able to use Outlook wherever you are. For instance, if your work uses Google Apps, anything you set up in your Gmail calendar will automatically sync with your Outlook account at home. Setting up a new event, or “Appointment” as they are called within Outlook, within the calendar is simple. Double-click on the day in which you would like to add the event and a new window will appear prompting you to input your appointments information. There are several options on the ribbon of the new window that are worth noting. The “Invite” tab will allow you to invite people to your particular appointment. 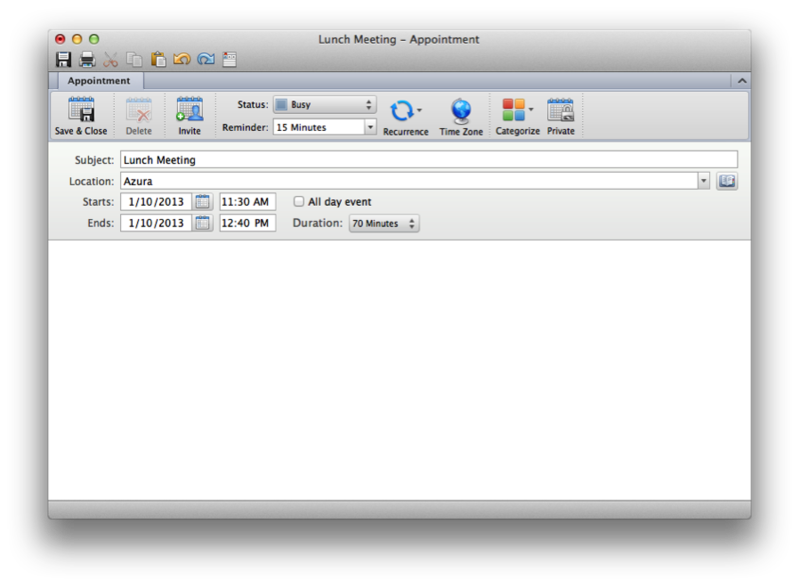 If your company’s Outlook accounts are synced, you will be able to see whether your invitees are busy during the time of your scheduled meeting by using the “Scheduling Assistant.” This is a useful feature if you are not always able to be in the office to talk directly with your invitees.